I started my day with a healthy simple breakfast! So why is this healthy and nutritious? Yoghurt is a good source protein, calcium, vitamin B12 and B6. It is also eatable for people who are lactose intolerant even though I personally am not. 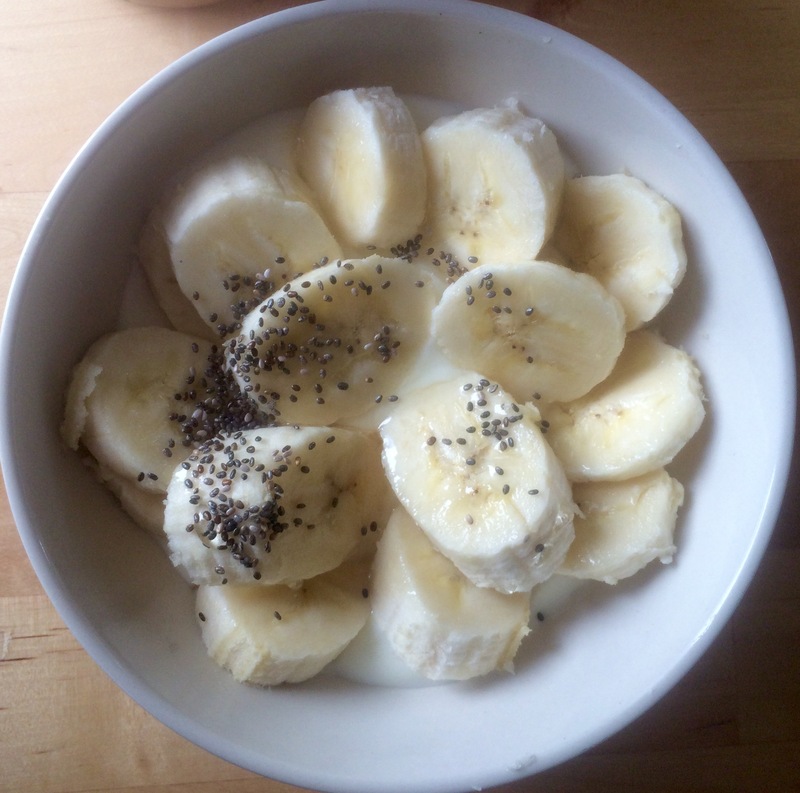 Bananas are beneficial for digestion which is good for getting rid of toxins. Chia seeds is considered a superfood. It has a lot of benefits including being rich in antioxidants which can prevent you from cancer, rich in fiber, and good for weight loss as it expands when it has contact with liquids causing you to be full! Previous Post Looking for a Latin American grill? It’s from my parents !